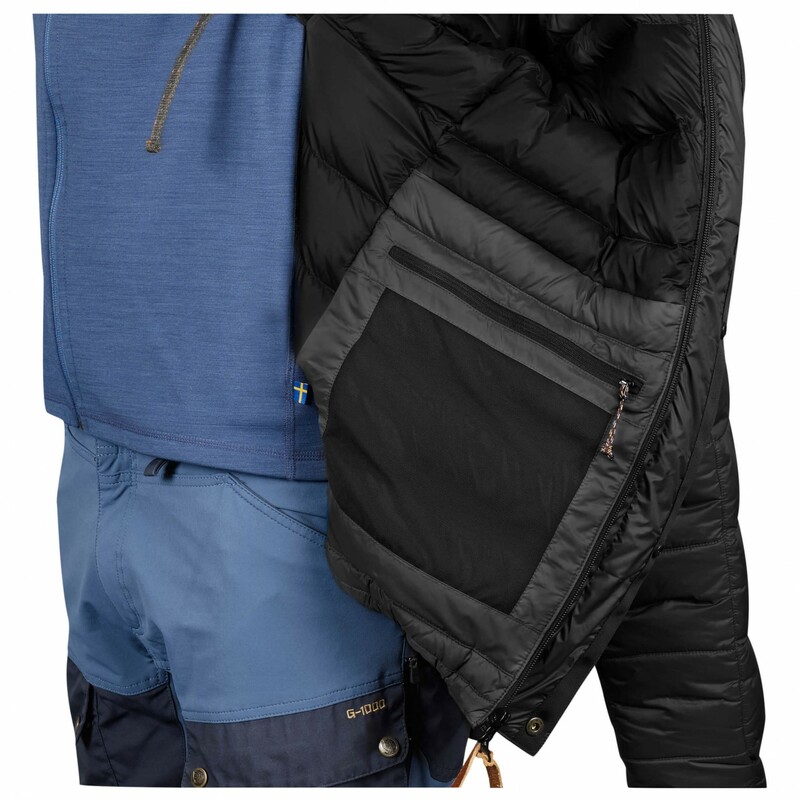 Regardless of whether you're trekking in the winter or on a ski tour, the Fjällräven Keb Expedition Down Jacket is an excellent choice for cold weather! 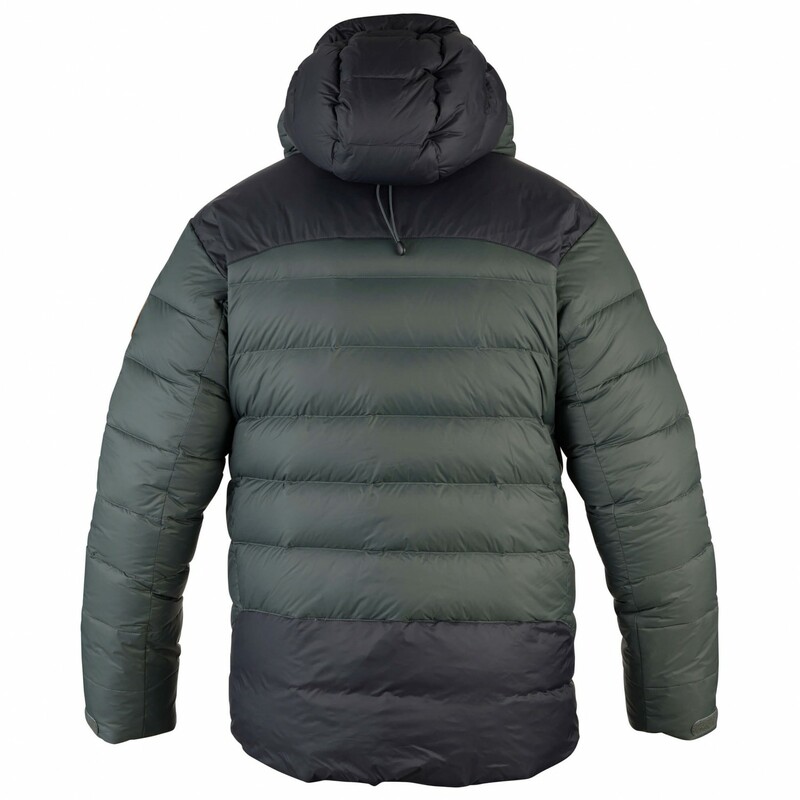 This jacket boasts an excellent warmth-to-weight ratio and can be packed down nice and small. So, you'll always find a place for it in your pack! 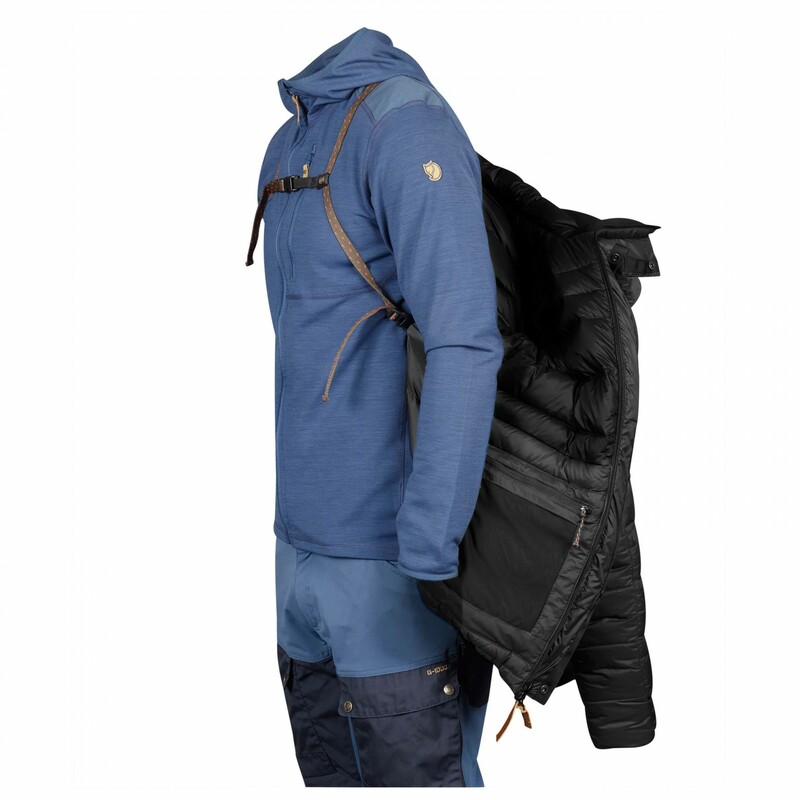 The technical outdoor winter jacket is tough and will serve you well on any outdoor adventure. 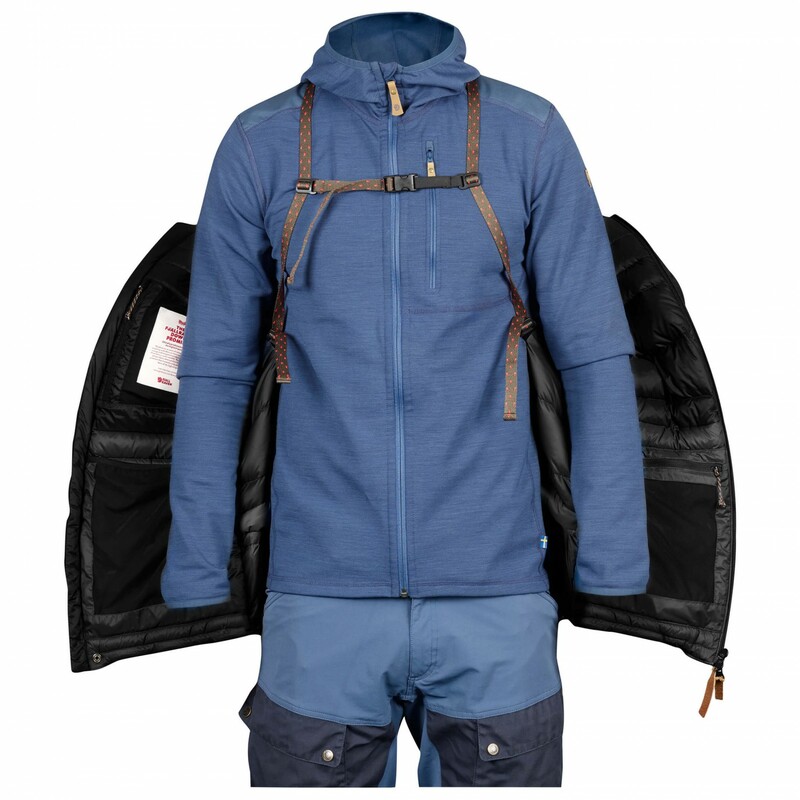 Plus, the jacket is sustainable and environmentally friendly! 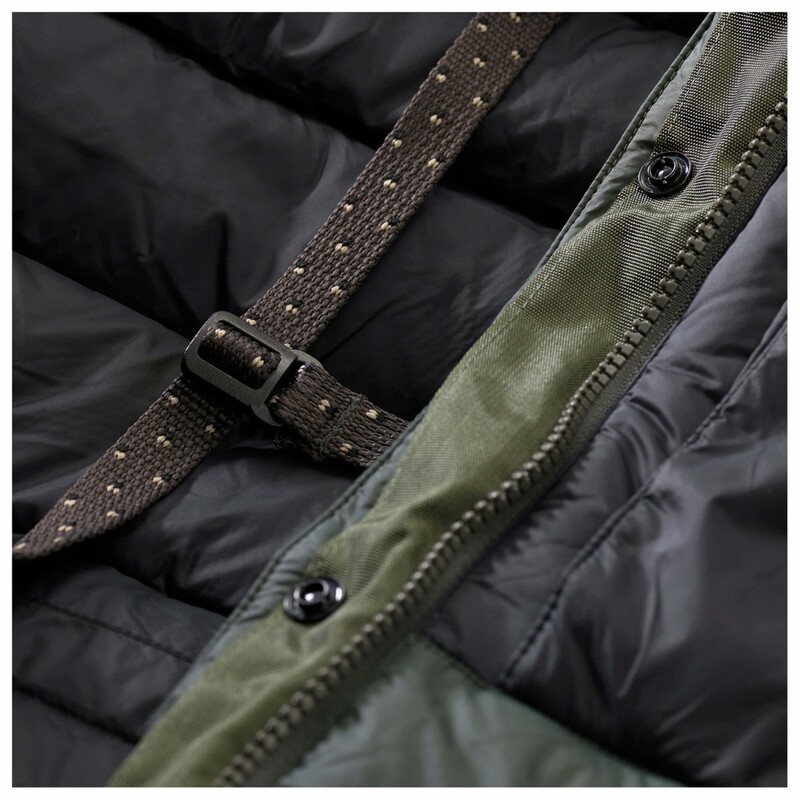 It is made of recycled polyester and equipped with a fluorocarbon-free DWR finish for additional weather protection. The down insulation complies with ethical standards as well. The jacket features synthetic insulation around the shoulders, as it is more durable. The comfy, nicely insulated hood can be adjusted for a perfect fit and is helmet compatible. 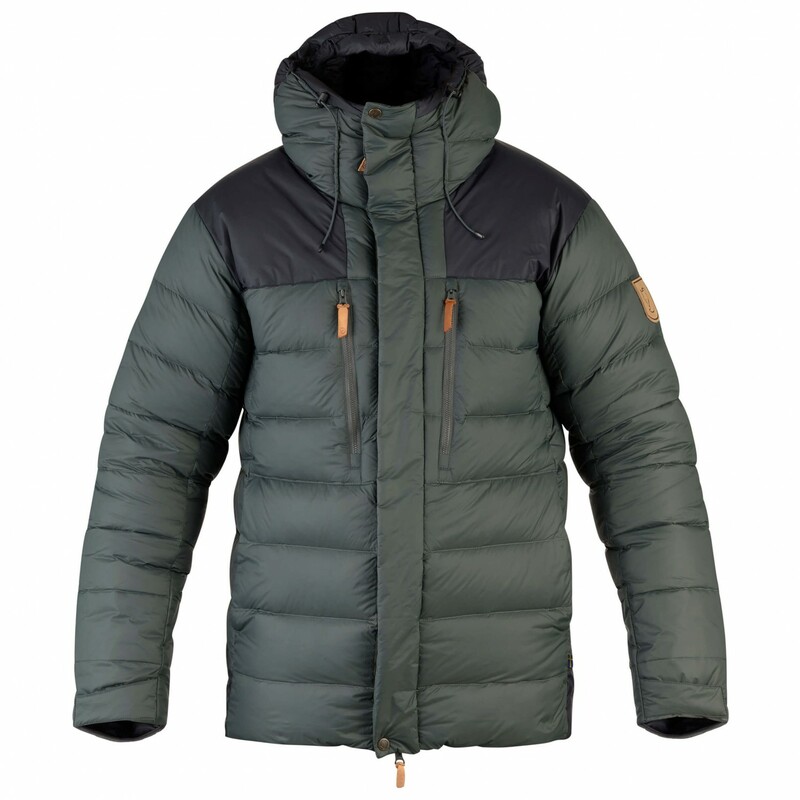 With the Fjällräven Keb Expedition Down Jacket, your next outdoor adventure in the wintertime will be nice and warm!